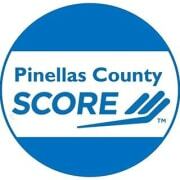 SCORE is celebrating over 50 years of serving the small business community in Pinellas County but nobody knows it! We offer FREE business advice and education, but nobody knows it!! We need help in getting our name and services out to the public. Score's mission is to assist startup and existing entrepreneurs grow and maintain their small businesses. We are seeking an IT professional to help us maintain and develop our web site, social media channels, and review security, updates and hardware for our PC environment . This is a part-time volunteer that can be done from your home.